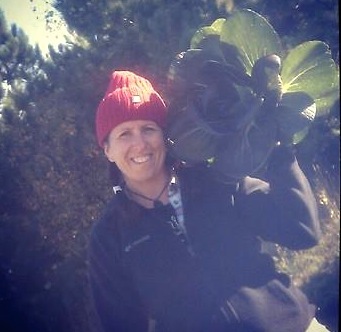 This is the third post in a new SGT series that looks at CSA — community supported agriculture — from the farmer's perspective. Also check out the the first post, Adventures in Farming, and the second post, Managing Expectations. In high school, struggling through algebra, I comforted myself with the thought that I wouldn't use math very much in "real life" anyway. Later, as a journalist, I got away with this belief to some degree. But now that I'm a farmer, I'm learning the hard truth that I should have paid more attention, because the fact is: farming = math. Nowhere is that equation more apparent than in crop planning. Because organic farmers with CSA programs (for an overview of the CSA model in general, check out my first post) grow such a diversity of vegetables, often on limited land space, the amount of planning can be intense. People often ask me and my partner, Karla, what we do during the winter, maybe because they imagine us tucked into a cozy farmhouse, quilting and making stew until we begin planting in the field in May. 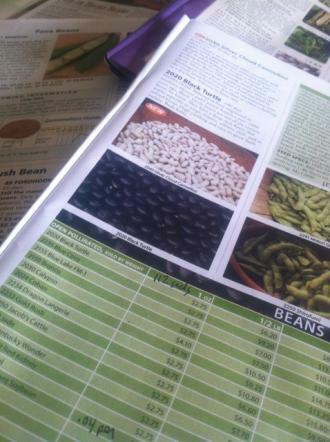 Seed catalogs provide great info on everything from root depth to water needsWe do quilt and we do make stew, but, overall, it's a less bucolic answer in reality. Once the season ended last year, we immediately started the planning process for this one, trying to streamline systems that would make us more efficient, and anticipating two more acres of space for this year. We begin the planting process in March by starting seedings for some crops in the greenhouse.After that, the rest of the season is a blur of variables, including seed-to-harvest maturity dates, root depths, succession planting, and bed width for specific machinery, among other considerations. Blended into the specific farming tasks are CSA planning strategies like arranging dropsites, managing member signups, developing partnerships for add-ons (more on that in a later post), and a hundred other small details. Diversity: When planning a season's crops for the CSA, diversity of vegetables is vital. Members love an array of vegetables, but equally important, diversity reduces risk for the farmer, because if one crop fails, there are likely to be plenty of others that can fill in. At Bossy Acres, we tend to plant 40 to 50 different vegetables, and within those are several varieties. Last year, this strategy worked well when we saw crop loss from the drought, watching vegetables like Brussels sprouts and cabbages struggling to thrive. Succession planting: Some farms have large amounts of space, allowing them to plant just once per season for specific vegetables. But, like many small beginning farms, we have very limited space of just three acres. That means we need to rely on succession planting (once we harvest one crop, we plant again in that space) to maximize the acreage without tiring out the soil. This aspect of planning is tricky, because we have to look at the root depth of the vegetables next to that succession stretch to make sure the new plants won't be drawing nutrients away from what's already there. The usual advice for CSA farms is that one acre of land should be enough for 20 to 30 shares, but that number implies heavy succession planting to accommodate those shares. Weather and pests: Ah, the weather. Our first farming season was last year, with a flood kicking off the season's start and then relentless drought for the rest of the season. During July and August, our land got less than an inch of rain. Also, a mild winter in 2011-2012 meant that many bugs didn't get killed off, making the season challenging for everyone. Although there are some irrigation strategies that we put in place, we don't like to spray anything, so part of crop planning involves anticipating loss. Like most organic farmers, we have to overplant by about 20 percent as an insurance policy against pests, hail, drought, and other common issues. Member consumption: Everyone likes full boxes of vegetables, but what feels abundant to one person might feel overwhelming to another. Our goal is always to give members enough to get them comfortably to the next box, without waste. This is harder than it sounds, because we have to try to figure out how much an average household eats, and also, what type of vegetables they tend to toss. If 98 percent of our membership said they hate radishes, for example, it wouldn't be very smart for us to spend time, money, and energy cultivating and harvesting that crop. To get a handle on this planning, we sent surveys to our members about their eating habits and preferences and received valuable feedback that will help us plan more effectively. 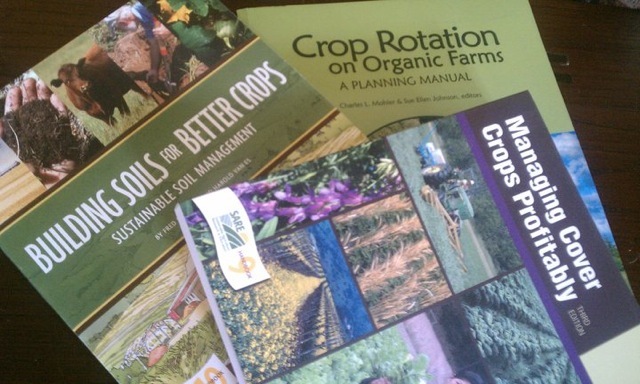 Comparison shopping for seeds is a major planning stepCost: Last but certainly not least, crop planning takes the cost of seeds, equipment, land, labor, and other factors into consideration. 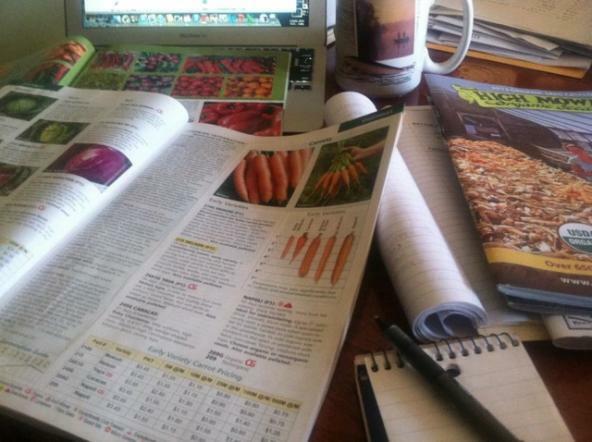 Because Bossy Acres is a small farm, we don't have the luxury of large seed orders, so we need to be smart about shopping around. 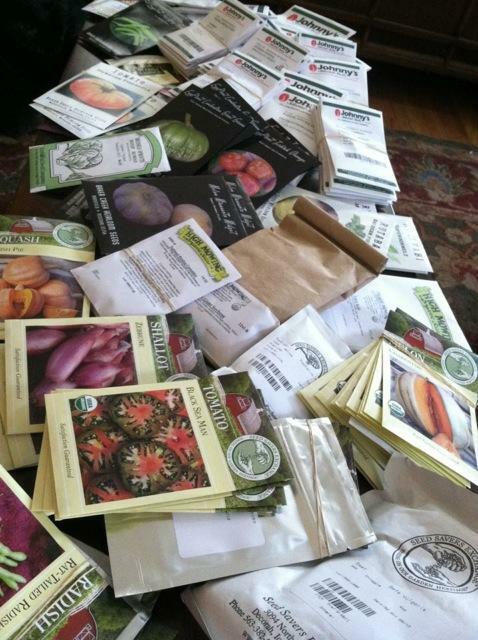 We get our seed from six different companies and comparison shop on every single packet of seeds we buy. If some seeds are way too expensive, they get bumped from the crop plan. Similarly, if there's a type of fruit or vegetable that needs more intense care or special treatment, we need to evaluate whether it's worth the effort. That's why you don't see mangoes and avocados growing in greenhouses in Minnesota, because the cost of growing them here would far outweigh what we could charge for them. These are just a few of the major variables that go into a crop plan, and doesn't even touch on labor costs or soil preparation, among other factors. So, to answer the question about what we do all winter: we plan and plan and plan. In the next installment of Behind the CSA Box, I'll cover how we develop partnerships with other farms and purveyors to create "add-on" options for members. Until then, stay warm and stay bossy! Elizabeth Millard owns Bossy Acres with her partner, Karla Pankow. They grow an array of delicious vegetables in Northfield, using sustainable and organic methods. This winter, they can be found teaching classes on indoor growing at Harvest Moon Co-op, Linden Hills Co-op, Egg/Plant Urban Farm Supply, and Mother Earth Gardens. Follow them on Facebook and on Twitter at @BossyAcres.